Tá cead ag na páistí éide spóirt a chaitheamh amárach 26/06/15. Tá cead acu dhá rud mhilis a bheith acu leis an lón chomh maith. The pupils can wear their school tracksuit tomorrow 26/06/15. They can have two sweet treats with their lunch also. Carolyn from The Girls Club Cork came to our school last Thursday and was presented with an amazing five blankets by the children. She was thrilled to receive them and we were very proud to be presenting them. This was a fantastic achievement - you may remember we only started knitting after Easter. Huge thanks to the children for embracing this very worthwhile cause and for the parents who helped them. See the link to the Blankets of Hope facebook page. Tá leabhar oibre/ fillteán SALF ag gach páiste sa scoil. S'éard an aidhm atá acu ná chun na páistí a chur i gceannas ar a gcuid foghlaim agus meastóireacht féin. Ba chóir go mbeadh na páistí abalta measúnú a dhéanamh ar a gcumas, ar a láidreachtaí agus laigeachtaí. Cabhraíonn na fillteán SALF le seo. Coimeádann siad cuntas ar a gcuid oideachas féin- is leabhar pearsanta é, lán de dea-samplaí d'obair atá déanta acu i rith na bliana. Beidh praghas (€3.95) an fillteán san áireamh i mbille na scoile, Meán Fómhair 2015. Molaimíd gan iad a athúsáid gach bliain mar is bailiúcháin deas iad don obair atá déanta acu i rith na bliana. Every pupil in the school has either a SALF workbook/folder. SALF enables children to learn the language of learning, to develop a value system on their personal learning and to share insights into personal learning. The folders are personal and contain examples of work that they have completed throughout the year. They keep an account of their own learning and they self assess in the process. It also acts as a portfolio of what they think is their best work. The price (€3.95) of SALF workbook/folder will be included in the school bill for September 2015 as the school purchases them directly from the supplier for you. Bí cinnte go bhfuil an próifíl a seoladh abhaile ar an 11/06/15 líonta isteach agaibh agus ag Múinteoir Eavan amárach 24/06/15. Mar is eol daoibh, seolfaimíd an proifíl sin, in éineacht le proifíl a líon do pháiste féin isteach leis an dtuairisc scoile chuig an méanscoil a bheidh siad ag freastal air. As you know, we will forward it, along with a profile that your child has filled out and their report card to your chosen secondary school. Iniata tá grianghrafanna dosna rudaí éagsúla sa bhosca 'caillte agus faighte' in oifig na scoile. Beidh siad ag dul go dtí siopa St. Vincent de Paul ar an aoine (26.06.2015) muna thagann éinne chun iad a fháil. Beidh leath lá scoile againn ar an Aoine an 26/06/2015. Beidh na naíonáin agus muintir an bhus ag dul abhaile ag a 11.45 a.m. agus an chuid eile don scoil ag dul abhaile ag a 12.15. Tá cead ag deartháireacha agus ag deirfiúracha na naíonáin dul abhaile leo ag a 11.45. We are having a half day on Friday 26/06/2015. The infants and those that go home on the school bus will finish at 11.45 and the rest of the children will finish at 12.15. As usual on these days siblings of children finishing at 11.45 a.m. can leave with them at that time. Tá an-chuid geansaithe scoile agus spóirt sa bhosca caillte agus faighte in oifig le Hilda. Tar isteach chun féachaint tríd roimh Dé hAoine má tá geansaí spóirt srl in easnamh ag do pháistí. Míle buíochas! There is a lot of school rugby shirts etc in the lost and found box in Hilda's office. Please come in and have a look through it before Friday if your child has lost any item of school uniform. Cás míoltóga ghruaige arís (22/06/2015) i Rang 1 . Scrúdaigh gruaig do pháiste anocht agus cuir an leigheas cuí air más gá. Tá sé an-dheacair fáilt réidh le míoltóga ghruaige muna bhféachann gach clann ar gruaig a bpáistí féin.Táim ag impí oraibh seo a dhéanamh chun cosc a chur ar an fhadhb go tapaidh. There is another case of a case of head lice (22/06/2015) in 1st Class. Please check your child's hair tonight and treat it if necessary. It is very hard to get rid of head lice if each family does not look at their own children's heads. I am imploring you to do this to stop the problem quickly. Is oth liom ará nach mbeidh an Campa Samhraidh ag dul ar aghaidh an tseachtain seo chughainn (29/06/2015 - 02/07/2015) de bharr easpa uimhreacha. Níl aon dul as. Unfortunately, due to lack of numbers for the Campa Samhraidh next week(29/06/2015 - 02/07/2015), it will not be going ahead. Apologies for any inconvenience caused. Toisc go mbeidh preabchaisleán ar scoil Dé Luain 22/06/15, tá cead ag na páistí ar fad éide spóirt na scoile a chaitheamh, seachas rang a 6. Caithfidh rang a 6 an éide scoile ceart a chaitheamh don aifreann agus bronnadh céime. Tá cead acu éide spóirt a thabhairt leo agus athrú ar scoil más mian leo. As we have a bouncy castle organised as part of 'Slán le Rang a 6' tomorrow (Monday 22/06/15), all pupils can wear their school tracksuit to school, except for 6th class. 6th class will need to wear their full school uniform for graduation and mass. They can however bring their school tracksuit with them to change at some stage if they wish. Ní bheidh an bus scoile ag rith ar an chéad dha lá don téarma seo chughainn an 27/08/2015 & 28/08/2015. Eagraigh modh taisteal eile le bhur dtola. CIE are not providing school transport for the first two days of term next year 27/08/2015 & 27/08/2015. Please organise alternative transport. -Cóisir sa scoil ag a 2.30 . Searmanas Bronnadh Céime a bheidh i gceist. Fáilte roimh tuistí agus clainne rang a 6 chuigh an ócáid speisialt aseo. Beidh píotsa agus uachtar reoite ar díol. Tae agus Caife á chur ar fáil ag tuismitheoirí rang a 5. Níl fear an píotsa chun glacadh le airgead. Scéim Tokens a bheidh i gceist. Beidh tokens ar díol ag tuistí rang a 5. Beidh páistí rang a 6 ag fáil token do slios píotsa agus uachtar reoite saor in aoise an duine!! Táimid ag súil go mór leis an lá!! - Mass at 12 noon in the parish church. - A party at the school at 2.30 pm. It will be a graduation ceremony. Parents and families of 6th class are welcome to this special occasion. There will be pizza and ice-cream for sale. 'Volcano Pizza' and Glanmire Ices in the school yard. Parents of 5th Class will be serving tea and coffee. The pizza man will not be accepting money. It will be a tokens system. Parents of 5th class will be selling the tokens. 6th class pupils will be getting a free token for pizza and ice cream !! We are really looking forward to the day!! Tabhair urlisí isteach amárach (18ú agus 19ú Meitheamh '15) agus ar an Aoine chun cleachtadh a dhéanamh don Aifreann scoile ar an Luan an 22ú. Please bring in musical instruments tomorrow and Friday (18th and 19th June '15) to practice for the school Mass on Monday 22nd. De bharr bliots atá ag rang a 5+ 6 ar an gCéadaoin (17/06/15) tá an dáta don Lá Spóirt athraithe. Due to a 5th and 6th class blitz on Wednesday 17/06/15 the Sports Day date has changed. Tá sé ar siúl ar an nDéardaoin 18/06/15 anois! 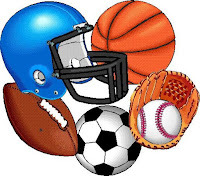 Our Sports Day is now Thursday 18/06/15! Bí cinnte go bhfuil éide spóirt agus uachtar gréine ar do pháiste ar an lá. Please ensure your child wears their school tracksuit and suncream. Bíodh bhur néadaí scoile á chaitheamh agaibh amárach (16/06/2015) le bhur dtola i gcóir grianghraf eile don rang. Cuireadh ar an eolas mé inniu (15/06/2015)go raibh cás míoltóga ghruaige i Rang 1 . Scrúdaigh gruaig do pháiste anocht agus cuir an leigheas cuí air más gá. Tá sé an-dheacair fáilt réidh le míoltóga ghruaige muna bhféachann gach clann ar gruaig a bpáistí féin.Táim ag impí oraibh seo a dhéanamh chun cosc a chur ar an fhadhb go tapaidh. I have been informed today of a case of head lice in 1st Class. Please check your child's hair tonight and treat it if necessary. It is very hard to get rid of head lice if each family does not look at their own children's heads. I am imploring you to do this to stop the problem quickly. Beidh turas scoile R1 agus R2 ar an Máirt seo chugainn (Next Tuesday) 16/5/2015. Beimid ag dul chuig an Outdoor Education Centre i gCionn tSáile. Beidh leath den lá ar uisce agus leath ar an talamh. (Half the day will be on the water and half will be on land). Cóta uiscedhíonach don uisce (waterproof jacket for the water). Bígí ag guí anois do aimsir deas!! Comhghairdeas mór le gach páiste a glac páirt i Spórt na Cathrach, Dé Céadaoin (10/06/2015). Bhí lá iontach againn in ainneoin na deacrachtaí a bhí againn ó thaobh an trácht de. Bhí gach páiste ann chomh dea-bhéasach agus dheineadar a dhícheall i ngach rás inár nglachadar páirt ann. Maith sibh a pháistí! Bhíomar an-bhrodúil asaimh. Bhuamar an-chuid ar an lá ach go háirithe caithimid comhghairdeas mór ará le na cailíní a bhuaigh an rannóg don scoil is fearr toisc an méid a bhuadar. Chomh maith leis sin d'éirigh le Fionn Ó Briain (Rang a 6), Erhan Ó Faircheallaigh (Rang a 3) agus Eve Ní Chorcora (Rang a 3) áit a bhaint amach i rás chroabh na contae. Comhghairdeas mór leis an triúir agaibh! Go raibh maith agat leis, do na tuismitheoirí, dearthaireacha agus deirfiúracha a tháinig chun tacaíocht a thabhairt do páistí na scoile. Congratulations to every child who took part in Cork City Sports, Wednesday 10/06/2015, representing Gaelscoil Chionn tSáile . We had a great day despite the traffic problems in the morning. All children, were so good on the day and ran their hearts out. Well done boys and girls! We're so proud of you all. We won a lot of trophies on the day, especially the girls who won a trophy for the overall best school in their category. As well as that a special congratulations must be given to Fionn Ó Briain (6th class), Erhan Ó Faircheallaigh (3rd class) and Eve Ní Chorcora (3rd) who succeeded on making it to the county finals, not an easy task. Well done again to all. Thanks to all the parents, brothers and sisters who came to support the children on the day. 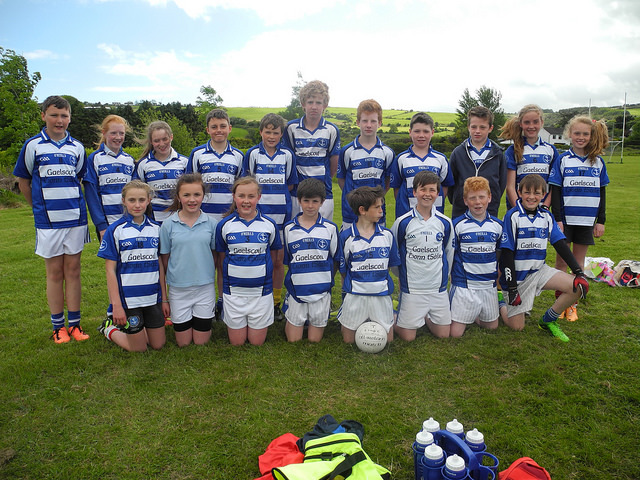 Roghnaíodh Mícheál Ó Murchú (R6) ar son foireann Chorcaí do chomórtas Peile Bunscoil Sciath na Scol 2015. Is onóir mór é do Mícheál dá chlann agus don scoil. Ní phiocadar ach 11 buachaill ón gcontae ar fad. Comhghairdeas Mícheál ó mhuintir Gaelscoil Chionn tSaile!! Tá Contae Chorcaí ag imirt in aghaidh Contae an Chláir sa chomórtas peile sinsir, ar an Domhnach, 14/06/2015 ag a 3.30pm. Beidh siad ag imirt i bPáirc Uí Rinn. Beidh Mícheál ag imirt ag leath ama, timpeall 4.05 pm. Tá súil againn go mbeidh slua mór ann ag tabhairt tacaíocht do (agus an fhoireann sinsir dár ndóigh). Go n-eirí leat Mícheál!! Beir bua! Mícheál Ó Murchú (6th class) has been selected to represent Cork in the Sciath na Scol Football Primary Game 2015. It is a great honour for Mícheál, his family and the school. Only 11 boys from the entire county were picked. A huge congratulations to Mícheál from everyone here in Gaelscoil Chionn tSáile. Cork play Clare in the senior football Munster semi final on Sunday, 14/06/2015 at 3.30pm. They will be playing in Páirc Uí Rinn. Mícheál will be playing during half time of this game at approximately 4.05 pm. We hope that there will be a crowd there to support him (and of course our Cork senior team!) Best of luck Mícheál!!! Beidh na naíonáin (infant classes) ag dul go dtí Feirm Rumley (Rumley's Farm) Dé Máirt, 16/06/2015. Beidh an bus ag fágaint (leaving) ag a 9.00am. Bí in am. (Be on time) Beimid ar ais ar scoil (back to school) i gcóir (for) 1.30pm. Bí cinnte (make sure they have) go bhfuil lón (lunch) agus cúpla deoch (couple of drinks) acu. Bíodh (they need to wear) an éide spórt na scoile (school sports uniform) agus uachtar gréine (sunscreen) orthu. Táimid ag lorg (looking for) tuismitheoir amháin eile (one more parent) a bheidh sásta teacht linn (to accompany us) don lá (for the day). Chuir glaoch (ring) ar Hilda maidin (morning) Dé Luain (15/06/2015) más féidir leat dul (if you can go). Go raibh míle maith agaibh. Tá súil agam go mbeidh aimsir deas againn. Turas Scoile Ranganna 3+4/ School tour 3rd and 4th class. Áit/ Venue: Trabeg Sports Centre, Let's Go! Bus ag fágaint na scoile/ Leaving school: 08.30 r.n. Bus ar ais ar scoil/ back at school: 15.50 i.n. Ag Teastáil/ Needed: Éide spórt na scoile/ school tracksuit, muinchillí fada/ Long sleeves for zorbing (to avoid friction burn.) Bríste gearra más mian leo/ school shorts if they like, Lón/ packed lunch, uisce/ water, uachtar gréine/ sun cream. Táimíd ag súil go mór leis! campasamhraidh15@gmail.com chun áit a shábháil ar son do pháiste. Ní bheimid in ann glacadh le gach páiste, mar sin de, déan é seo chomh luath agus is féidir leat. Tá póstéir suas timpeall na scoile. Táimid ag tnúth le roinnt do na páistí a fheiscint ann. A Summer Camp will be held in Gaelscoil Chionn tSáile from the 29th of June 2015 to the 2nd of July 2015. It will be on from 9.30am to 2.00pm each day. A variety of sports, arts and games will be included in the camp schedule. Gaeilge will be spoken at all times by the teachers / instructors. It is 50euro per child, with various discounts for multiple family members. Send an email to campasamhraidh15@gmail.com to ensure your place as soon as possible as they are limited and unfortunately we won't be able to accept every child. Posters are up in the school and we look forward to seeing some of the children there. Sin deireadh le ficheall don bhliain seo! Tosnóidh sé arís í Mí Meán Fómhair. Ba mhaith linn buíochas ar leith a ghabháil le Oliva Queve as ucht an cabhair ar fad a thug sé don foireann fichille gach Luan i ndiaidh scoile. 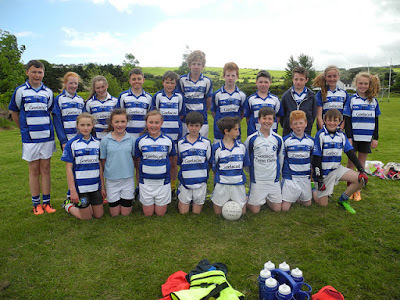 Beidh Blitz rugbaí (Rugby Blitz) ar siúl amárach (tomorrow) 12/06/2015 do rang 5 agus 6 (Fifth and Sixth Class) sa club rugbaí i gCionn tSáile (Kinsale Rugby Club). Beidh costas 4 euro (4 euro per child) le bhur dtola. Tá proifíl seolta abhaile inniu i málaí scoile na bpáistí 11/06/15. Líon isteach iad agus seol ar ais chuig an múinteoir ranga roimh an Céadaoin seo chugainn 17/06/15. Seolfaimíd an proifíl sin, in éineacht le proifíl a líon do pháiste féin isteach leis an dtuairisc scoile chuig an méanscoil a bheidh siad ag freastal air. 'My child's profile' has been sent home in the pupils' school bags today 11/06/15. Please fill it in and return it to your class teacher before Wednesday 17/06/15. We will send it on, along with a profile that your child has filled out and their report card to your chosen secondary school. Rinne roinnt páistí ó ranganna 3+4 go diail ar fad ar an máirt 09/06/15 nuair a d'imir siad iománaíocht i gcoinne SN Dún Darú, d'imir siad go han-mhaith. We are putting the last squares together in our "blankets for hope" – Huge thanks to all the sewers and knitters who have been working quietly… we have 4 completed blankets.. this is a huge achievement for all of our children who have been knitting since Easter- they have knitted over 700 squares already….we need more squares to finish the 5th blanket, we only need about 50. Can I ask you to once again encourage the kids to knit one more square. Once completed please drop them into Hilda and I will pick them up. Remember its 20 stitches and 20 counted rows – it should end up as a square about 12cm square. Eolas tábhachtach faoin Oideachais Caidreamh agus Gnéasachta. Tá sé i gceist ag na múinteoirí ranga na codanna mothálacha a chlúdach ar an 18ú Meitheamh 2015. Important Information regarding Relationships and Sexuality Education. The class teachers propose to cover the sensitive subjects on the 18th June 2015. An le éinne an eochar seo? Faighter i gclós na scoile é timpeall dhá sheachtain ó shin. 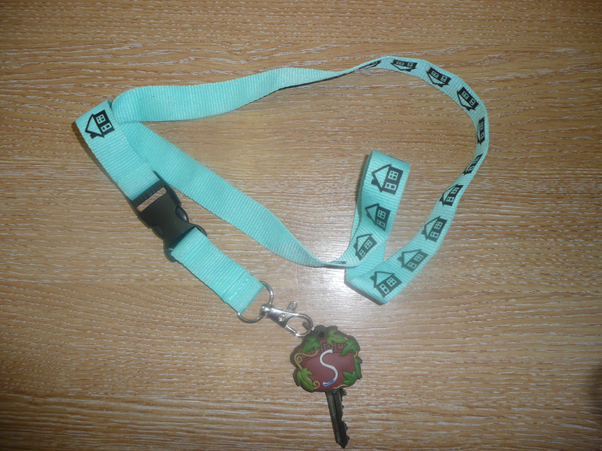 Does anyone own this key? It was found in the school yard about two weeks ago. The final cake sale of the school year will take place tomorrow Thursday 11th June 2015, this time hosted by the very patient Senior Infants! Also tomorrow the new junior infants for 2015-2016 will be coming into school from 10am to 11.30am and they will also be invited to attend the cake sale. 6th class will be helping Senior Infants and will also sell teas and coffees to these parents. So as normal can each child bring in at least €1 tomorrow to buy a cake or bun. There will be gluten free cakes available and as usual a strict nut free policy for all the baking. Thanks again to all parents who have sent in the very valuable euros and baking through the year. It has proved to be a very enjoyable and successful fundraiser. Beidh cluiche cheannais iománaíochta ag roinnt páistí ó rang a 6 amárach (Déardaoin 11/06/15) i gcoinne S.N. Chóbh Chionn tSáile ag a 1.30 i.n. ag siúl chuig agus ar ais ó bpáirc CLG Chionn tSáile. Some 6th class pupils have a hurling final V Summercove National School tomorrow (Thursday 11/06/15) at 1.30pm in Kinsale GAA pitch, walking to and from the pitch. Cuireadh ar an eolas mé go bhfuil cás míoltóga ghruaige i Rang 2 (M. Róisín) inniu 19/06/2015. Scrúdaigh gruaig do pháiste anocht agus cuir an leigheas cuí air más gá. Tá sé an-dheacair fáilt réidh le míoltóga ghruaige muna bhféachann gach clann ar gruaig a bpáistí féin.Táim ag impí oraibh seo a dhéanamh chun cosc a chur ar an fhadhb go tapaidh. I have been informed of a case of head lice in 2nd Class (M. Róisín) today 09/06/2015. Please check your child's hair tonight and treat it if necessary. It is very hard to get rid of head lice if each family does not look at their own children's heads. I am imploring you to do this to stop the problem quickly. Tá cluiche Iománaíochta ag roinnt páistí amárach, Dé Máirt, 09/06/15. Cluiche ceannais V Dunderrow atá i gceist. Ag siúl go/ar ais páirc CLG Cionn tSáile ataimíd, fagaint na scoile ag a 10.00. Some pupils in 4th class have a hurling final V Dunderrow school tomorrow, Tuesday, 09/06/15. We will be walking to and from Kinsale GAA pitch, leaving school at 10am. Tá an chorn 6 náisiúin ag teacht chuig na scoile amárach Dé Máirt 09/06/15. Tá fáilte roimh na páistí bratacha éire agus geansaithe glas a chaitheamh más mian leo. 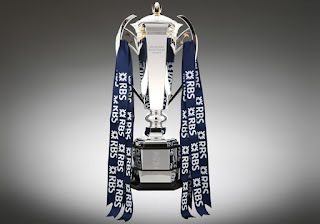 The six nations trophy is coming to the school tomorrow, Tuesday, 09/06/15! Pupils are welcome to bring in Irish flags or wear green jersey if they wish. An éada scoile iomán á chaitheamh agaibh amárach (09/06/2015) le bhur dtola, i gcóir grianghraf. Beidh gleacaíocht ( gymnastics) ag na páistí ar an Aoine bheag seo an 12/06/2015 agus ar an Luan an 15/06/2015. Sin deireadh leis na ranganna ansan I mbliana. Turasanna scoile ar an Mháirt an 16/06/2015. Ag brath ar aimsir ( Weather permitting) beidh ár lá sport bliainiúil (sports day) againn ar an gCéadaoin an 17/06/2016. 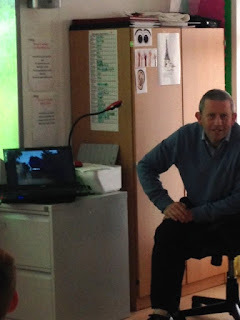 Beidh cóisir ( party) do pháistí rang a sé agus dtuismitheoirí ( for 6th class pupils and their parents) ag a 2.30 ar an lá 22/06/2015. Níos mó eolais faoi seo agus faoi an tseachtain sin ag dul amach go luath. (More information on this gathering and the remainder of that week 23/06/2015 - 26/06/2015 will be sent out shortly). Beidh mórshiúl Corpus Christi ar siúl i ndiaidh Aifreann 12 a chlog ag tSéipéil Naomh Eoin ar an Domhnach seo chugainn an 07.06.2015. Mar a dúradh cheanna, beidh Rang an gCéad Chomaoineach gléasta suas agus rudaí speisíalta á dhéanamh acu (féach ar an post 04.06.2015) ach tá cuireadh ag gach éinne dul chun páirt a ghlacadh ar an lá. The Corpus Christi procession will take place after the 12 o' clock mass on Sunday, 7th June 2015 in the St John the Baptist Church. As already announced (see post on 04.05. '15 below), the First Holy communion class will be dressed in the clothes that they wore for their First Holy Communion and will be involved in the ceremony but all are invited to come and take part also on the day. Comhghairdeas do gach duine a d'éirigh leo sna rásaí do Spórt na Cathrach. Tá Spórt na Cathrach ar siúl an Chéadaoin seo chughainn (10/06/2015). Beidh sé ar siúl i gcampa CIT, i gcathair Chorcaí i mbliana. Tá litir seolta abhaile le na páistí inniu (05/06/2015) leis an t-eolas ar fad. Tá rud le síniú istigh ann agus caithfidh sibh é a sheoladh ar ais chuig na múinteoirí ar an Luan (08/06/2015). 11.30a.m. Rásaí Cheannais an chontae. 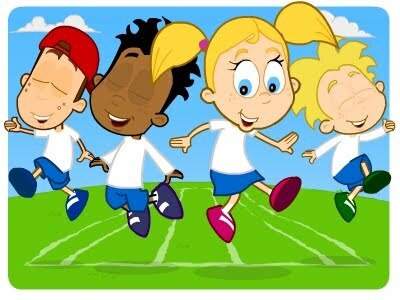 Congratulations to every boy and girl who succeeded in the heats for City Sports. The big day is on next Wednesday (10/06/2015). This year City Sports will be held in CIT campus in Bishopstown as Páirc Uí Chaoimh is out of action. All the information has been sent home today (05/06/2015) with the children in their schoolbags. A permission slip needs to signed and sent back in for Monday (08/06/2015). Please review the timetable above. If you have any other questions, please do not hesitate to send in your queries through Hilda and I will do my best to get back to you as promptly as possible. Seo Leabhar Liostaí na bliana seo chughainn 2015/2016. Beidh billí leabhair ar chíos agus costaisí scoile éagsúla ag dul amach i Mí Meán Fhómhair mar is ghnáth. The following is a link to the 2015/2016 Book Lists. A school bill comprised of book rental , insurance costs etc will go out as per usual in September. Meabhrúcháin: Tá airgead na dturasanna scoile le híoc anois. Níl sé riachtannach ach bheimís an-bhuíoch daoibh dá ndéanfaidh sibh an íocaíocht seo agus íocaíochtaí eile ar líne. Laighdaíonn sé seo go mór an méid obair le déanamh againn anseo ó thaobh airgead / fáilteasaí / cúntaisí de. Tá córas iontach ceannaithe ag an scoil chun an t-eagrúcháin airgid go léir a dhéanamh agus níl ach moladh ard dó ag na tuismitheoirí a úsáideann é. Níl le déanamh agaibh ach dul ar suíomh na scoile www.gaelscoilchionntsaile.ie - > 'eolas' -> 'on-line payment' (nó cliceáil ar an nasc thíos). Ansin is féidir leat do sheoladh ríomhphoist (a thug tú don scoil) a úsáid chun do chúntas a fheiscint agus chun íoc as na billí. Is féidir iad a íoc i gcuideanna thar €5 más mian leat.. Má tá aon fadhbanna agat leis an bpróiseas, is féidir leat glaoch ar an scoil. Tá an córas ag obair go maith. Reminder - school tour money is now due. It is not imperative - but we would really appreciate it if you could pay this bill and others on line. This hugely reduces the amount of administrative work involved in collecting cash, issuing receipts, updating accounts etc, etc. The school has bought a wonderful new system that handles all of this and any parents that use it have nothing but praise for it. All you have to do is go to the school website www.gaelscoilchionntsaile.ie -> eolas -> on-line payment. Then use your email address (that you have given the school) to view your account/ pay for outstanding bills. It also allows you to pay amounts of over €5 in stages If you have any problems with the process, you can ring the school. The system is working very well. It is used by the vast majority of schools and is probably the best way for us to manage our payments now and into the future. Our final ceremony in the "Do This In Memory" programme will take place on Sunday, 7th June 2015 at the 12 noon Mass in the St John the Baptist Church. As it is the feast of Corpus Christi the children who received their First Holy Communion this year are invited to participate in the procession around the town, wearing their beautiful Holy Communion clothes. Before the final blessing on Sunday at Mass, I will ask the Holy Communion children and their parents to leave the church to join in the procession. This should help avoid the children getting caught up in the rush at the end of Mass. The procession will return to the Church for Benediction. Children will sit in the front rows and parents can meet their children there at the end of the ceremony. I hope you and your family can attend as it is a beautiful occasion and a wonderful way to complete a very special year. Beidh bliots tag rugbaí ar siúl ag Rang 3 agus Rang 4 ar an Aoine seo 5/6/15 sa chlub rugbaí. Beidh sé ar siúl ó a 10 go dtí a 12.30. Tabhair isteach €3 don mbus le bhur dtoil é.
Tá deireadh curtha (finished) leis an banna ceoil i mbliaina (for this year). Tosnóidh(will start) an bhanna ceoil arís(again) i mí Meán Fomhair (September) 2015. Ba mhaith linn ár mbuiochas (thank you) a gabháil dos na páistí and tuismitheóirí a ghlac páirt i mbliaina. Foirmeacha HSE sna málaí scoile inniu (02/06/2015). Líon isteach iad anocht le bhur dtola agus seol thar nais iad amárach. The children have been given HSE forms today (02/06/2015) to be filled in and returned tomorrow, please.